Closed circuit television security systems have been a staple of security systems for years. However, there are numerous advantages when it comes to the security systems of today and what used to be around years ago. As the technology changes and improves, so do the amount of capabilities that closed circuit televisions offer. 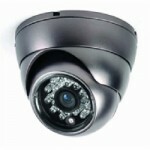 In today’s society, the security cameras are able to use closed circuit television cameras along with IP technology. Internet protocol security systems have an amazing resolution when compared to an analog system, which will provide more ease of installation and the features are easy to use. It can become extremely expensive to do a complete replacement of your older analog closed circuit television systems when compared to the new Internet protocol cameras, but luckily you don’t have to worry about anything like that. You will be able to integrate all of the new Internet protocol technology through a hybrid platform. This will help provide you with all of the benefits the new technology has to offer and the cost is a lot more effective when you compare that to starting the whole process over with all new equipment. • It is relatively inexpensive and a lot easier when it comes to maintenance and setting the system up. Purchasing and setting the whole system up can be done in a few simple steps, not to mention maintenance is a breeze. Since today’s closed circuit television systems are mostly all digital, they are a lot simpler to manage. Storing the information that the systems send over is a lot easier than it was before, which also means that is not as corruptible. Information will be stored on the digital video recorder in coordination with the closed circuit television cameras, instead of being placed on tapes that can easily be destroyed or damaged. You will also be able to download all of the footage onto your computer, but if you need to save everything on a long-term basis, you will be able to burn it all to a CD. 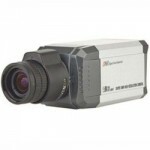 Even though the technology for analog systems has remained on the higher end for pricing and the equipment is a lot bigger and difficult to handle, the cameras of today have undergone a dramatic reduction in their size. This means that you will be able to have the most sophisticated equipment at a price that you will be able to afford. Although you may want to have your camera in plain sight for security purposes, the cameras are very tiny in size, which means that you can place them anywhere you like and still get the coverage you need. • The older analog systems that once used tapes would generally only be able to provide you with a time lapse recording. 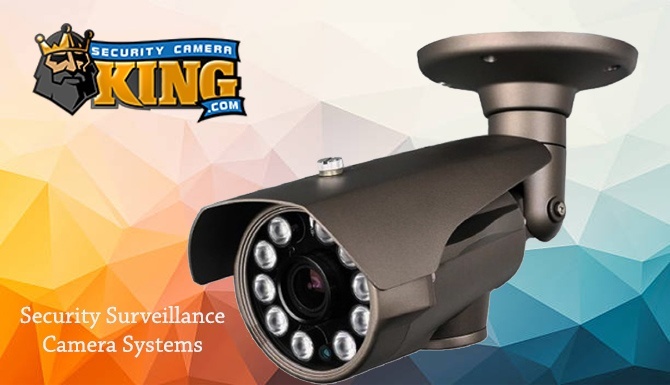 However, the newer closed circuit television cameras are able to record on a continual loop and capture all of the information and save it into a large file from all of your cameras. This helps business owners to be able to track down information from all of the sources and keep accurate historical records. Tapes would end up being recorded over, which would end up costing the individual valuable information. • Since you can go out and purchase a closed circuit television system in any number of sizes and configurations, you will be able to choose the perfect system based upon your individual needs. As your business continues to grow, you will be able to expand upon your system and make sure you always have the coverage that you need. Due to the technology being relatively cheap, you will be able to grow your system without having to worry about the added cost or storage limitations that some of the options originally provided you. Closed circuit television systems all around the world have been looked into with a much greater level of scrutiny and expectation when it comes to reducing the crime level. Although it is not a surefire way to prevent any crime from happening in the first place, many of these closed circuit television systems have proven to be successful at protecting the home from some type of criminal activity. They are a great deterrent when it comes to keeping your assets out of the way of a potential intruder. However, there are a lot of people who feel the results are not guaranteed when the crime taking place involves alcohol to some degree. Many of the people who are intoxicated are not going to care about anything around them, so a security camera will prove to be useless when it boils down to it. Depending on where you are located at, there may be an issue where the individual person may be monitored by hundreds of cameras throughout the day. When there are numerous cameras around the area monitoring you, there is a less likely chance that someone is going to try something stupid to begin with. Closed circuit television systems are extremely effective when it comes to saving people a lot of time and money over the course of time. Many towns and cities have implemented security cameras across their area as a way to prevent any criminal activity out on the streets from taking place. Catching the Criminal in the Act – Once you put the fear of being recorded by a closed circuit television system into an individual, they will normally turn the other way when it comes to committing a crime. Publicity- If your closed circuit television systems are made obvious to the public, the offender will probably end up leaving their intended area and head into another area with less coverage. It has been shown that once the cameras are in position more and more people are running away from criminal activity in the area. However, if the systems are kept on a more private level, the offenders are not going to know where the cameras are positioned. In the end, they will avoid the areas because they won’t know where the cameras are monitoring. Deploying the Authorities – Closed circuit television systems are able to help improve the time that law enforcement officials are able to respond to the scene of a crime, which helps to save on anyone in the area having to call the police department. The security camera operators are able to determine the appropriate number of officers that need to be sent to the crime scene and alert the law enforcement to what is going on before they even arrive on the scene. This will help the police department know what they are walking into before they ever get there. Crime Time – If the perpetrator thinks that they are going to be able to get the crime completed before the closed circuit television system has time to record it, the police department will not have as great of a chance at capturing the criminals in the act. As an example, if there is a car thief that is well aware of where the camera is pointed, what the speed and range is limited to, they will be able to determine the best route for avoiding the closed circuit television systems. Even though the criminal may think that they are able to get away with the crime, there are often a lot of times where they are caught on tape anyway. Where Do Closed Circuit Television Systems Perform Well? Although a closed circuit television system may likely reduce and eliminate any property crime in public locations, they are not as effective at being able to prevent a violent crime from occurring. The systems are great for sending a crew of police officers into the scene of the crime in a timely fashion, but the perpetrator may be able to avoid the security camera completely. If the cameras are mounted in public areas, the violent crime will not be recorded because most of the time they do not take place in those areas. In this particular instance, having proper lighting in the streets will be able to prevent the violent crimes from occurring in the first place. Whenever alcohol is a contributing factor, the perpetrator does not care or even think about the consequences of their actions, which make the closed circuit television systems ineffective against someone who is intoxicated. might have when these units are in place. Since the police officers are quickly dispatched to the scene of the crime, there is a lot less time for the perpetrator to behave in a violent manner. In order to verify how effective the systems are, local law enforcement needs to go through all of the surveillance footage over an extended period of time to help eliminate any potential errors in crime statistics. If the closed circuit television systems have been given the proper training and they know the quickest way to get the authorities on the scene, the systems will be that much more effective. 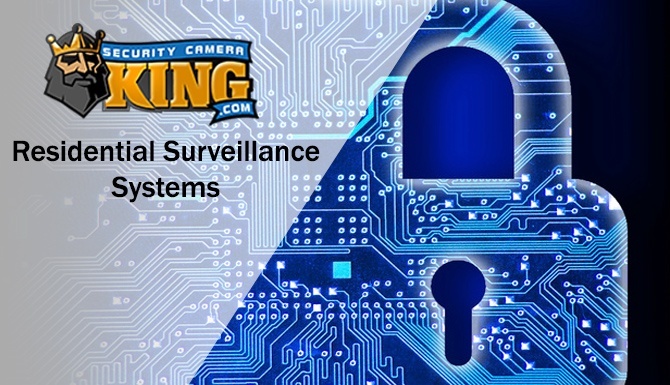 A closed circuit television system is one of the best ways for preventing crime down the road, which means that as the cameras become more advanced there will be more and more criminals caught in the act and the crime will be stopped in its tracks.